Draining a swimming pool is not something that should be done by the lay person. 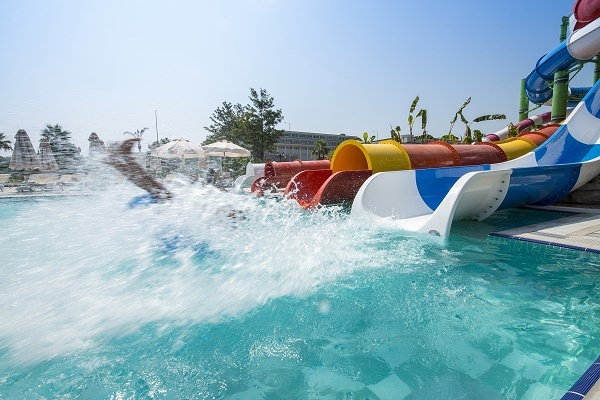 Why you should never drain your pool is something that the swimming pool contractors from Express Poolcare in Phoenix, Arizona discuss with new pool owners regularly. Draining a swimming pool isn’t like draining a bathtub, for example. A bathtub is firmly and securely placed in the bathroom, a swimming pool is placed on a frame and “floats” within its excavated hole and is held in place by the weight of the water. If the water is removed, the pool can float and it can rip out the plumbing and electrical and lead to thousands and thousands of dollars in damage. A vinyl liner pool is one of the most hazardous types to drain. This pool style should only be done by a pool professional. If a vinyl liner pool is drained incorrectly, the walls could collapse; vinyl liner pools are backfilled with dirt as the water levels rise. This equalizes the pressure; today’s vinyl liner pools are not designed to bear the weight of the dirt without water to stabilize it. If you drain the water, the liner will float (this can also permanently damage the liner. Standing ground water can cause the liner to float and wrinkle. The liner may shrink during the draining process — especially if you don’t refill it quickly. The older the liner the less stretch it will have and the less give there will be when it’s refilled. This can easily lead to rips. A pool shouldn’t be drained in cold weather as this also diminishes its “stretch-ability.” Once the pool has been drained and the repairs made, the pool needs to be refilled as soon as possible and must be done slowly to avoid rips. If a fiberglass pool needs to be drained, you again run the risk of standing groundwater issues. If the fiberglass pool was constructed properly, it should have the structural integrity to withstand the weight of the dirt that was backfilled. If, however, ground water has built up it could heave the fiberglass casing out of the ground, damage the plumbing and electrical and the backfilled dirt may crumble into the hole if the fiberglass shell floats. It’s rare a gunite pool will need to be drained, but if it does it’s the least likely to lead to exterior damage, but it should still not be drained unless a pool contractor recommends it and is for a very good reason. The draining of your hot tub or spa is a more likely occurrence than is the draining of your swimming pool. Hot tubs are drained and refilled more frequently simply to get rid of dirty, chemical filled water (because of the lack of volume of water). The need to drain a tradifional swimming pool will likely not occur in your lifetime of pool ownership, but that being said, a rip in the liner or a crack in the fiberglass may mean you need to drain it. Replacing equipment or plumbing may also require a pool draining, but this will be done under the supervision, and most likely by, your pool contractor.